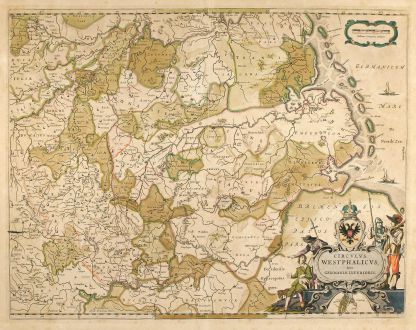 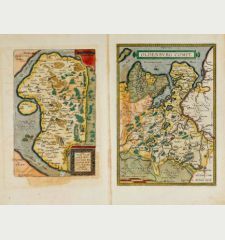 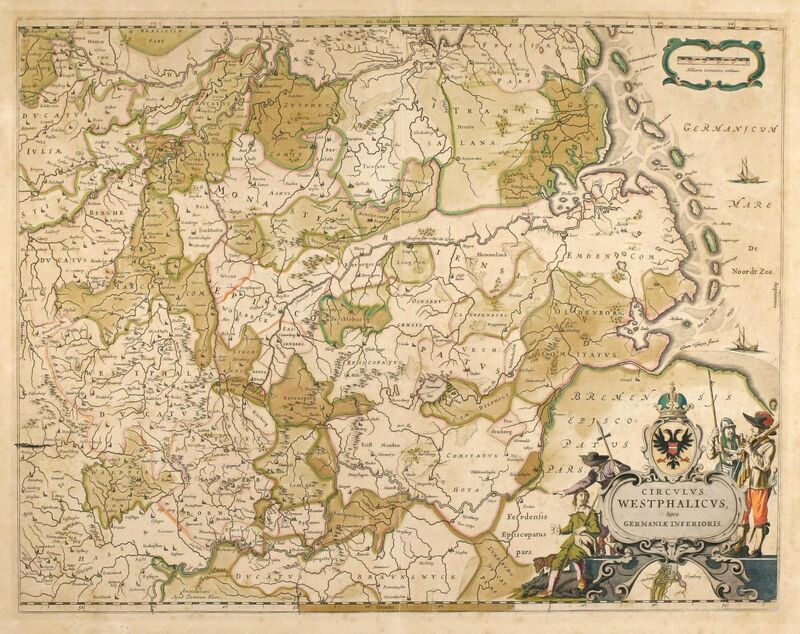 Old coloured map of Lower Saxony, North Rhein-Westphalia. 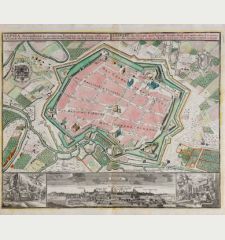 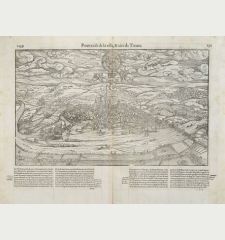 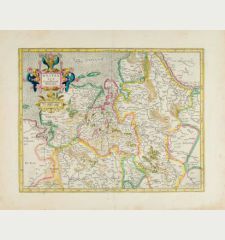 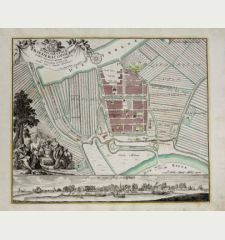 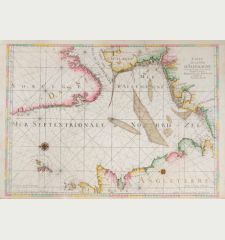 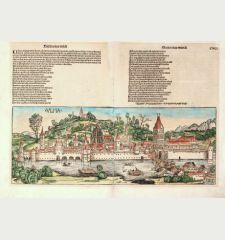 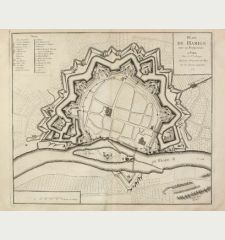 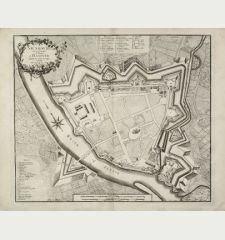 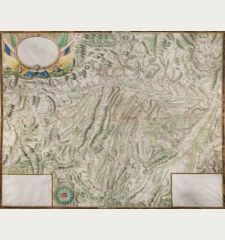 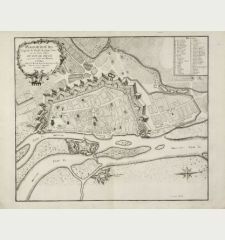 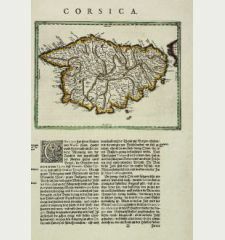 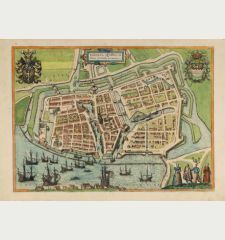 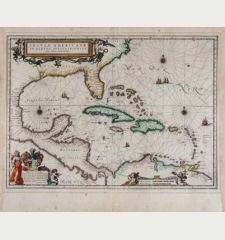 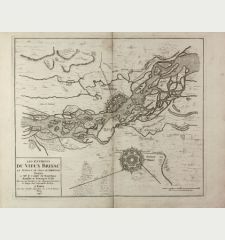 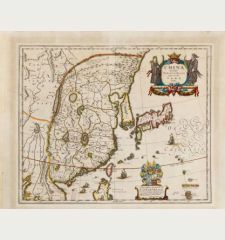 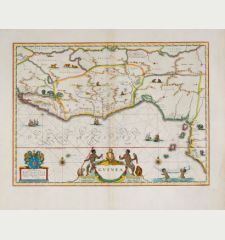 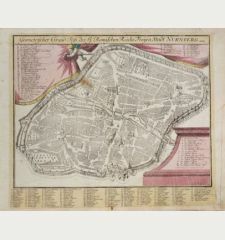 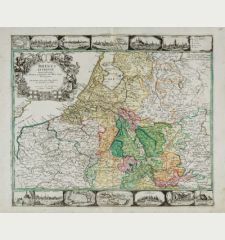 Printed in Amsterdam by Blaeu circa 1640. 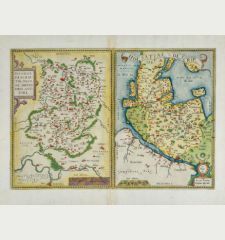 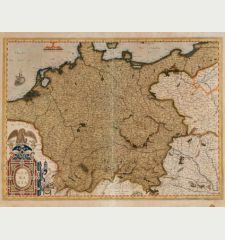 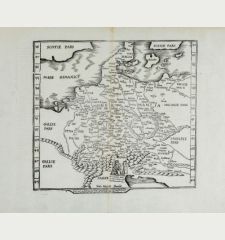 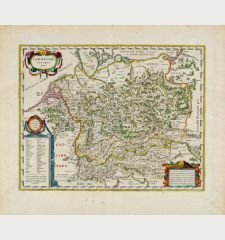 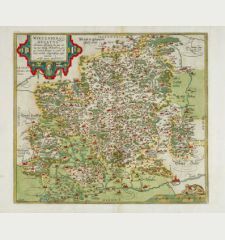 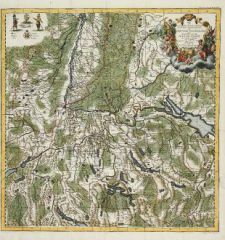 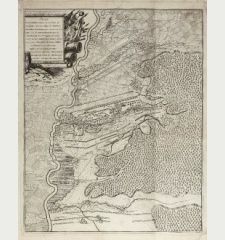 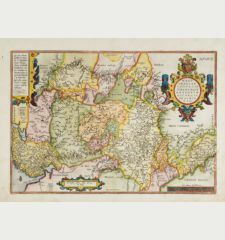 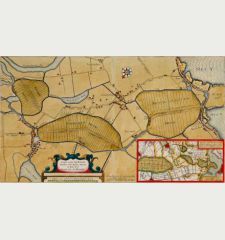 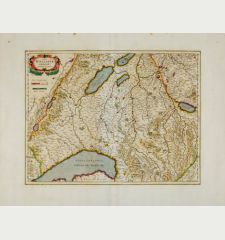 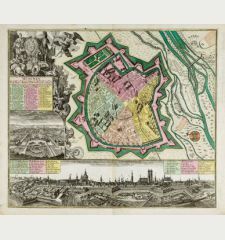 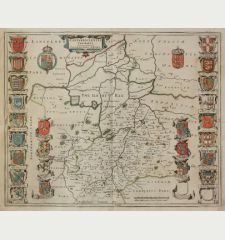 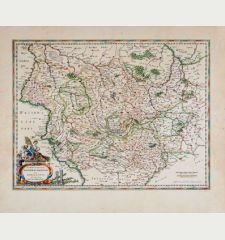 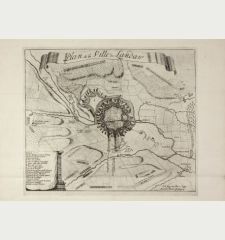 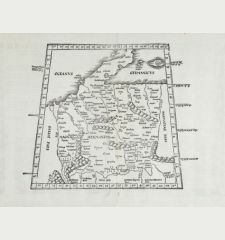 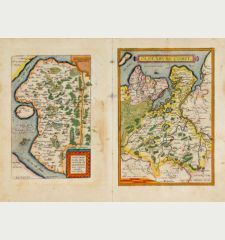 West oriented copper engraved map of North Rhein-Westphalia and Lower Saxony of W. Blaeu. 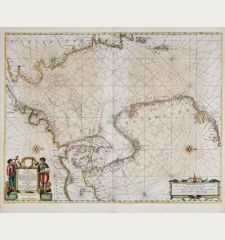 With one beautiful cartouche with a small cityview of Hamburg and two sailing ships. 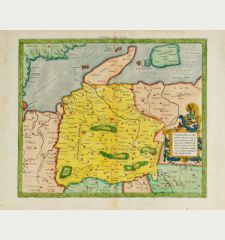 Cities gold highlighted.